Get a locals' perspective on Santiago on this small-group tour that takes you through the Calle de Vinos (wine streets) of the historic city center. 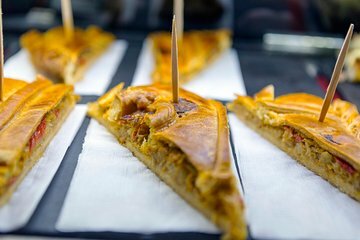 Visit five tapas bars and pastry shops to sample their offerings while learning from your guide about the history and cultural significance of the Galician region's cuisine. Uncover centuries of history around every corner and learn how to order and eat like a local.